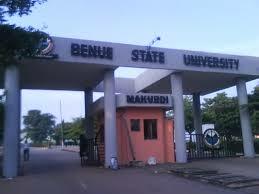 Benue State University, Makurdi [BSUM] Continuation of the Second Semester Examination for 2016/2017 Academic Session and Hostel Shut Down Notice. Following the Suspension of the Second Semester Examinations of the 2016/2017 Academic Session on Friday, 16th February, 2018 owing to students’ protest in the University over non-registration by some students. The closure became necessary to forestall the breakdown of law and order on the campus. v. in view of (iii) above, the hostels shall remain closed during the period of the strike action and by extension, the examinations. 4) Students are to note that in addition to the strike action by staff which has forestalled the use of the hostels, Management has taken a proactive action to complete the renovation work in the hostels earlier commenced during the last students’ break to ensure improved facilities and sanitary condition of the hostels preparatory for the commencement of 2017/2018 academic session, scheduled to commence after the second semester examinations. 5) The import of this memo is to inform all students, in addition to the announcement on radio and social media platforms to make adequate preparation to complete their Second Semester examinations as rescheduled. 6) While Management of the Benue State University regrets the inconveniences these developments might cause our esteemed students, please be assured of our commitment to complete the 2016/2017 Academic Session that has suffered undue protraction.